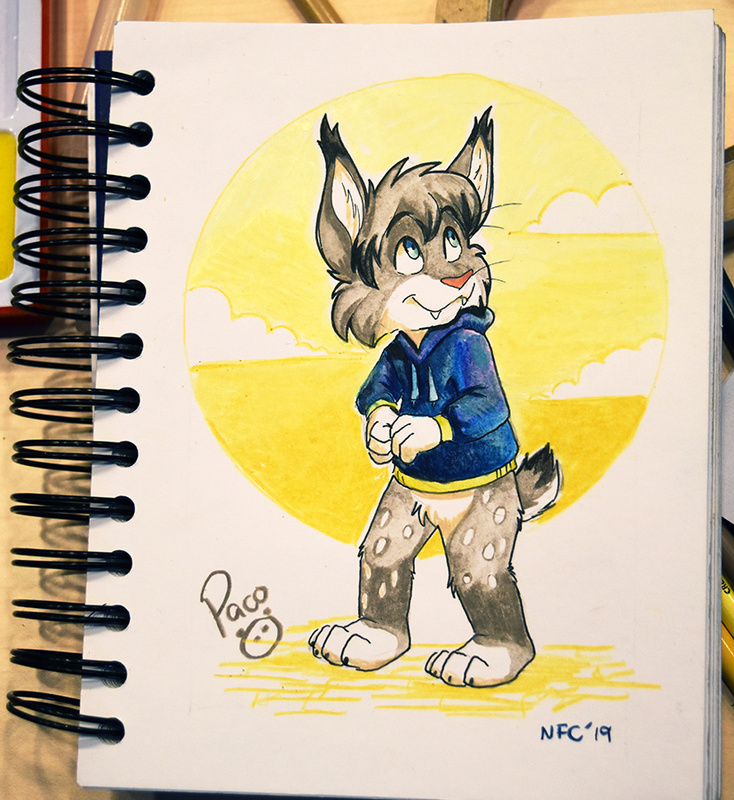 My very first commission I did at NordicFuzzCon. If you read my loooooong journal about this convention ( https://inkbunny.net/j/352066-pandapaco-paco-panda-worl... ), now you know it has been my absolute favorite one, so this pic is very special for me because it was the first one I did during the dealer's den at NFC 2019. This was for Mikuro Lynx. Traditional. Watercolors + Colored pencils.